The Fourth Edition of the substantial text The Evaluation of Human Work has just been published edited by the late John Wilson and by Sarah Sharples. This book stands as a testament to John Wilson’s contribution over many years to ergonomics and human factors both in this country and abroad. Sadly, John passed away before this fourth edition was printed. 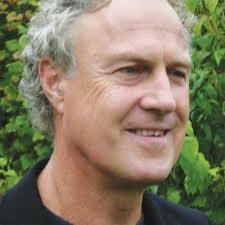 He is and will continue to be sorely missed. Our chapter in the Fourth Edition is on the theoretical framework for the assessment of potentially stressful work and organisational environments and includes an overview of the methods that might be best used. It is a substantive update of our earlier contributions. It might be cited as: Cox, T., and Griffiths, A. (2015) Assessment of potentially stressful work and organisational environments: theory and methods. 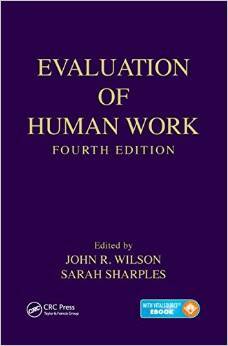 In: J. Wilson & S. Sharples (eds) Evaluation of Human Work: Fourth Edition. CRC Press, Taylor & Francis: London. My thanks to John Wilson and Sarah Sharples and to Amanda Griffiths for their help in crafting this chapter through to completion. I hope that John would have been happy with it. This entry was posted in Uncategorized and tagged Amanda Griffiths, Assessment of stressful environments, CRC Press, Evaluation of Human Work, John Wilson, Sarah Sharples, Taylor & Francis, Tom Cox, work and organisational environments. Bookmark the permalink.